Joint Trusts: A Useful Tool for Some Married Couples - Ward and Smith, P.A. 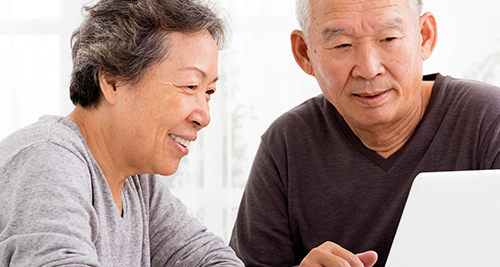 Though not a silver bullet for every situation, in appropriate circumstances, a Joint Revocable Living Trust ("Joint Trust") can provide a married couple with significant benefits and simplify the administration of assets upon death or incapacity. In order to illustrate the benefits that can be achieved with a Joint Trust, it's helpful to first understand the typical probate and estate administration process that occurs when a person dies. When a person dies with a Will, the designated Executor in the Will typically submits the original Will for probate in the Estates Division of the Clerk of Superior Court in the county where the decedent resided at the time of death. "Probate" is the legal process by which the court validates the submitted document as the legal Will of the decedent. When offering the Will for probate, the designated Executor typically also files an application with the court to be appointed as Executor of the estate and granted Letters Testamentary, which is the legal document confirming the Executor's authority to act for the decedent's estate. If a person dies without a Will, the decedent's spouse or nearest relative typically files an application with the court in the county where the decedent resided at the time of death seeking to be appointed as Administrator of the estate and granted Letters of Administration which is the legal document confirming the Administrator's authority to act for the decedent's estate. Filing an accounting with the court to report to the penny what occurred with all of the assets. The court supervises the process at every step along the way and must ultimately approve all actions taken in the course of the estate administration before the Personal Representative will be relieved of their appointment. Over the last few decades, a trend has developed in the estate planning community to attempt to structure a person's affairs so that no assets will pass through a probate estate supervised by the court. That trend has developed in response to a public perception that the court supervised process is not only unnecessary but also yields additional costs. For instance, additional fees must be paid to attorneys and other advisors to prepare the inventory, accountings, and other documentation necessary to satisfy a court that the estate was properly administered. Also, in North Carolina, the court charges a fee of $4 per $1,000 of value that passes through the estate, excluding the value of any real estate. Currently, there is a cap on this fee in the amount of $6,000, which is reached when the value of the estate assets equals $1,500,000. Additionally, all reporting made to the court about the administration of an estate is public record, meaning that anyone can access the information. The public nature of the process is why news organizations are often able to publish articles soon after a celebrity's death detailing what assets the celebrity owned and who received them. Such publicity causes concern for many people, because they fear that their heirs will become targets for gold-diggers. This has further strengthened the trend away from court supervised estate administration. Adding pay-on-death or transfer-on-death designations on financial accounts. However, because it is rarely possible to utilize those techniques to fully exempt a person's assets from the court supervised estate administration process, the most commonly used avoidance device is the Revocable Living Trust. A Revocable Living Trust is essentially a substitute for a Will. To create a Revocable Living Trust, a person typically transfers the person's assets to himself or herself as trustee and signs a written trust document that contains instructions as to what the trustee is to do with those assets while the person is alive as well as upon death. The trust document also identifies who should take over as successor trustee when the person is no longer able to serve due to death or incapacity. During life, the person's assets in the trust may be used in any way the person, as trustee, directs, and the person may change the instructions in the trust document in a similar manner as one can change a Will. If the person becomes incapacitated, the successor trustee is instructed to use the trust assets for the person's care. At death, the successor trustee wraps up the person's affairs by utilizing the trust assets to satisfy all of the person's liabilities and distributes the remaining assets to the beneficiaries identified in the trust document. No court supervises the process, so no court fees are incurred. Moreover, advisors' fees related to preparing court filings are avoided. Also, the administration of the trust is a private matter with nothing becoming public record. This process often results in a much better outcome for the person's beneficiaries as compared to having the assets pass through the court supervised estate administration process. Typically, when a married couple utilizes a Revocable Living Trust based estate plan, each spouse creates and funds his or her own separate Revocable Living Trust. This results in two trusts. However, in the right circumstances, a married couple may be better served by creating a single Joint Trust. The value of the couple's assets is less than the federal estate tax exemption amount. For deaths occurring in 2017, this amount is $5.49 million (or $10.98 million per couple) reduced by any taxable gifts made during life. A couple who meets these criteria could establish a Joint Trust by transferring their assets to themselves as co-trustees and signing a trust document to provide instructions as to what the co-trustees are to do with the assets. Typically, while both spouses are alive and competent, they retain full control over the trust assets and can change the trust document at any time. If one of the spouses becomes incapacitated, the other spouse continues to control the trust and can use the trust assets for the couple's care. After the death of one of the spouses, the Joint Trust will continue. The surviving spouse would continue serving as trustee and have full control over the trust assets. No transfers of assets are required at the first death because all assets are already in the Joint Trust. Upon the death of the surviving spouse, the designated successor trustee wraps up the surviving spouse's affairs by utilizing the Joint Trust assets to satisfy any liabilities and distributes the remaining assets as directed in the trust document. Throughout this entire process, there is no court involvement. This minimizes costs and promotes privacy. The couple no longer has to worry about whether a particular asset is owned by one of the spouses or by one of the spouses' separate Revocable Living Trusts. All assets are simply owned by the Joint Trust. Since only one trust is ever created, no transfers need to be made after the death of the first spouse to die. This simplification in the administration process minimizes advisors' fees and other costs and is a key advantage of using a Joint Trust. A Joint Trust can possibly yield even more benefits in certain situations. For instance, it may be possible to characterize some or all of the assets in a Joint Trust as community property. The benefit of having assets characterized as community property is that such property will receive a full basis adjustment for income tax purposes (commonly referred to as a "step-up" in basis) at the death of the first spouse to die as opposed to only one-half of the property receiving such a basis step-up. Additionally, it may be possible to include asset protection features in the Joint Trust so that any real property owned by the trust would be afforded the same protection as real property owned by a married couple as tenants by the entireties. Such protection prevents a creditor of just one spouse from enforcing the liability against the real property owned by the couple. Though the details of these benefits are beyond the scope of this article, they demonstrate that a Joint Trust potentially can provide additional advantages beyond those listed above. In the right circumstances, utilizing an estate plan that involves a Joint Trust can simplify a married couple's affairs and, as a result, make the administration process easier after death and ultimately lower costs. Any couple interested in a Joint Trust should contact competent counsel to assist them in evaluating whether the technique is appropriate for them. © 2019 Ward and Smith, P.A. For further information regarding the issues described above, please contact Zachary F. Lamb.